*** As with any such information, please always call the establishment before visiting in the event the below information has been updated or canceled since our date of publishing. Explore the heritage and history of Atlantic City in this Main Library Building. Exhibits and available programs are available free on Wednesdays between 11am and 5pm. 1 N Tennessee Ave, Atlantic City, NJ. www.acmuseum.org. Free access to their art gallery with multiple, different expressions of art to admire. Hours are Monday – Thursday 9 a.m. to 5 p.m. Friday 9 a.m. to 3 p.m. Saturday 9 a.m. to 5 p.m.
Pay as you wish hours on Thursdays from 4pm to 6pm are sponsored by the Affirmation Arts/William Talbott Hillman Foundation to ensure everyone has access to art education and experiences. Explorations of multiple facets of art are offered here from painting to sculpting, sewing to photography, and much more. Creative and interactive museum exploring arts, sciences and humanities. Free admission for military families and United Federation of Teachers union members with proper identification anytime. Also check with your local library, if they are members of CMOM you will be able to receive free tickets at their checkout desk. Unique experience allowing for exploration and education of thousands of seashells from all over the world. Open 7 days a week from 9am to 5pm with free admission. Guided tours are available to view this original Governor’s Residence most Wednesdays at 1pm all year except August. Official Memorial in New Jersey at Liberty State Park, honoring those who lost their lives in the World Trade Center attack on September 11th, 2001. No admission is charged, and everyone is welcome. Quaint and free museum celebrating the history of Fort Lee. Open Saturdays and Sundays noon to 4pm. 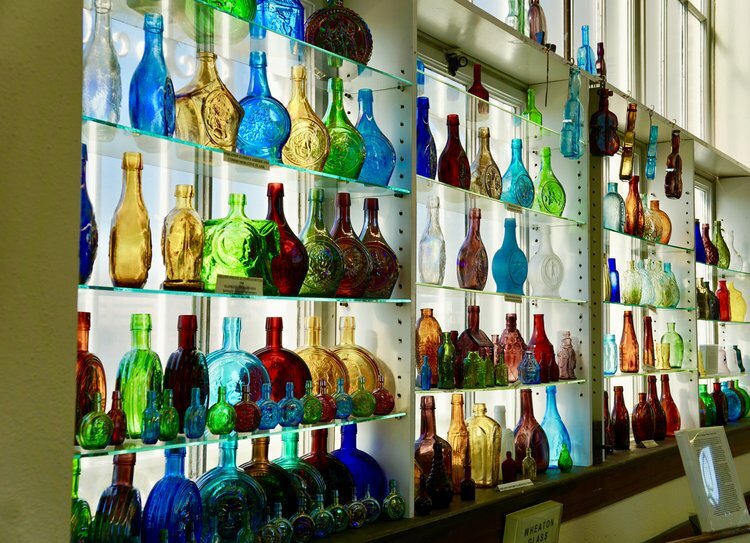 Museum representing New Jersey’s history of glass making, manufacturing and blowing. Open Saturdays 11am to 2pm and Wednesdays noon to 3pm, free admission. This museum is the largest museum in the United States exploring the history and current day Jewish heritage. Children under 2 are free. Large, interactive Science Center with multiple hand-son exhibits as well as a Planetarium located at Liberty State Park. Explore this influential museum of modern art on UNIQLO Free Fridays from 4pm to 8pm at no cost. Children 16 and under are always free. An educational dedication to those who lost their lives on September 11, 2001. Free admission Tuesdays from 5pm to close, all day on September 11th , and for all children younger than 7 years old. Tuesday free admission tickets are distributed on a first come/first serve basis at 4pm. Princeton’s Art Museum Gallery with over 92,000 works of art is always FREE and open to the public Tuesdays through Saturdays 10am to 5pm and Mondays noon until 5pm. “Pay as you wish” is available at the museum’s ticket counters any day and time to explore this great museum about our natural world. Hours are 10am to 5:45pm everyday except Christmas and Thanksgiving. Explore this beautiful lighthouse built in 1862 situated 200 feet above the Navesink Highlands. Visit the museum and learn about its construction and use throughout history. Hours are Tuesdays through Sundays 10am to noon and 1pm to 4pm. Free Admission.